What are you doing for New Year’s? What about yoga?! 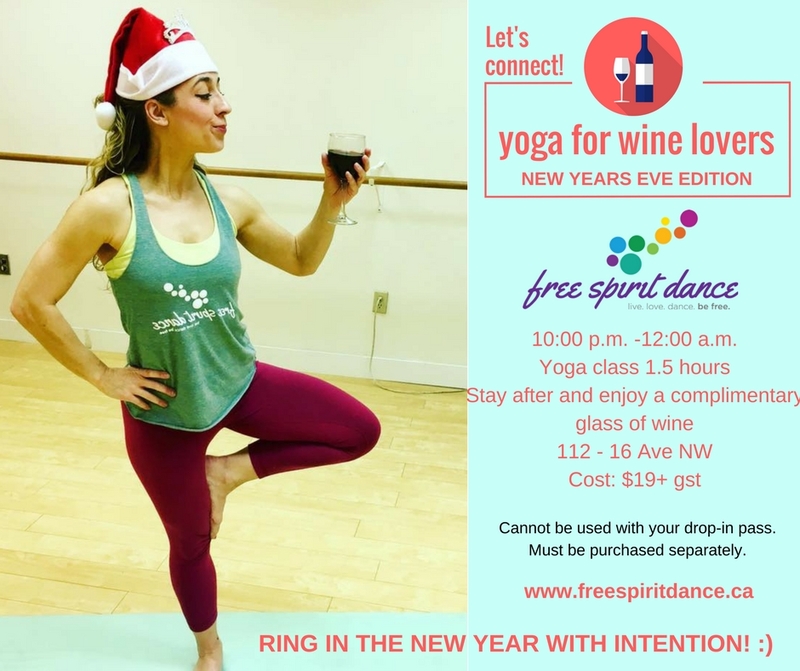 New Year’s Eve Yoga in Calgary is happening! Ring in the new year with intention and connection! Celebrate New Years doing something that nourishes your body, mind and soul. A unique night out with yoga, good conversation and connection with like-minded people over a glass of wine. This 1.5 hour Yoga Free Flow class will have you feeling invigorated and after stay for some good conversation and a complimentary glass of wine. Yoga studios are where we reconnect, de-stress and fill up our cup. Yoga is a quiet space where we workout and work inward on our body, mind and soul. But wouldn’t it be great to get to know the like-minded people that share these Zen moments with you each week in class? So instead of typical yoga and dash after class, we wanted to create an event that we could connect on as a community of people who love yoga and we’ve done just that – Yoga for Wine Lovers! Let’s connect! We host this event once a month! Cost: $19 + gst (includes a complimentary glass of wine). Limited spots so be sure to pre-register.